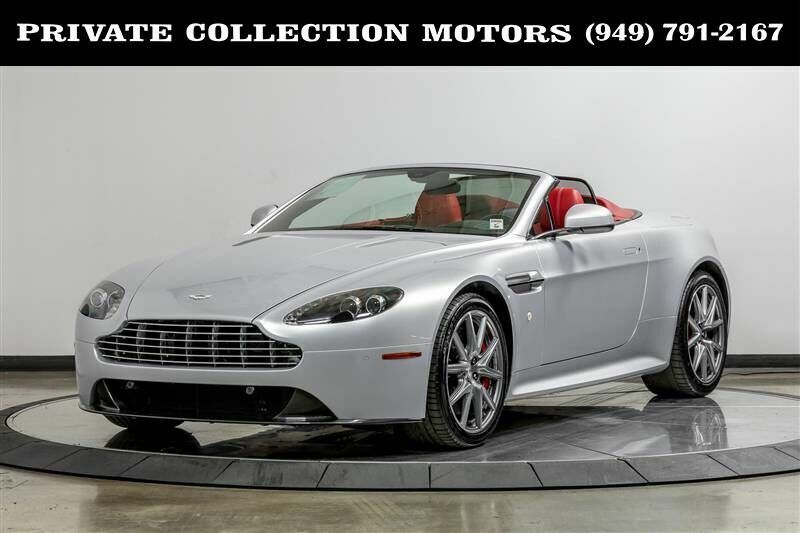 This 2013 Aston Martin Vantage is proudly being offered for sale by Private Collection Motors. The Aston Martin Vantage has always been a pleasure to drive. It has a stunning color combination of Silver over Red interior. Under the hood it boosts a 4.7L V8 420hp engine that rips through town. The Aston Martin Vantage has breathtaking style, meticulous craftsmanship and dominating performance. This Vantage has only 4,700 super low miles. It is a two owner Certified Carfax vehicle! It comes complete with 1 key. Stop by our indoor showroom anytime to see this beauty. We are open Monday - Friday 10 am to 7 pm Saturday 10 am to 6 pm Sunday 10 am to 3 pm. Let our 100% eBay feedback speak for our cars and sales staff. We welcome pre purchase inspections on all of our vehicles. For our out of state buyers we can help facilitate shipping to anywhere in the US. For more information please contact our experienced sales team at 949-791-2167. We look forward to hearing from you.